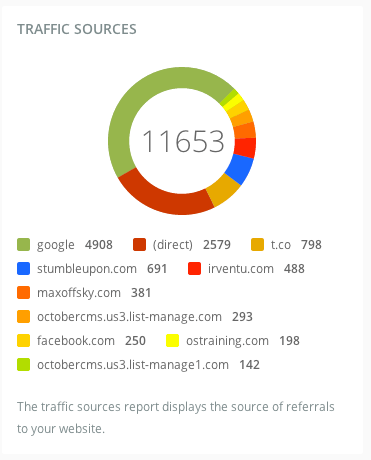 This plugin adds Google Analytics tracking and reporting features to the OctoberCMS. 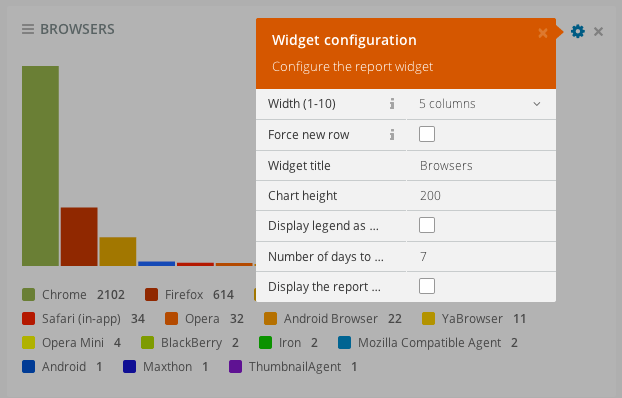 Select the Overview menu item and enable the Analytics API. In either case, you should end up on the Credentials page and can create your project's credentials from here. Open the Service accounts section of the Developers Console's Permissions page. In the Create service account window, type a name for the service account, eg: OctoberCMS Analytics. Place a tick in the box Furnish a new private key and select JSON for the Key type. A .json file will be generated, this is the private key for your account. Accept the download and save it to your computer. You should see an email ending with iam.gserviceaccount.com, if not select the Permissions tab. Copy this address to your clipboard. In a new tab, navigate to the main Google Analytics site and select the property you want to track. Click the Admin main menu tab at the top. Select the Property > User Management menu item. Paste the email address from the clipboard in to the field Add permissions for and make sure the permission is set to Read & Analyse. Click Add. Click the Admin main menu tab again and select View > View Settings from the menu. Copy to your clipboard the Profile ID (should be a number). Open your October back-end administration area and open Settings > Google Analytics. Paste the Account ID from the clipboard in to the field Analytics View/Profile ID number. Upload the previously downloaded .json private key file to the Private key field. Specify the Tracking ID (eg UA-12312312-3) and Domain name values if you are going to use the plugin's built-in tracking component. To find this code, select Admin > Property > Property Settings from the Google Analytics menu. If Tracking is not working initially, enter the value auto for the Domain name field. This is a fix for newborn Google Analytics accounts. Using the tracking code provided by the plugin is optional - the reporting part does not depend on whether you track your traffic with the built-in tracker or with a custom code generated by Google Analytics tools. Follow this link: http://curl.haxx.se/ca/cacert.pem and save it in a file called cacert.pem. Turning on API access is a bit tricky for a first timer but that's all on Googles end. 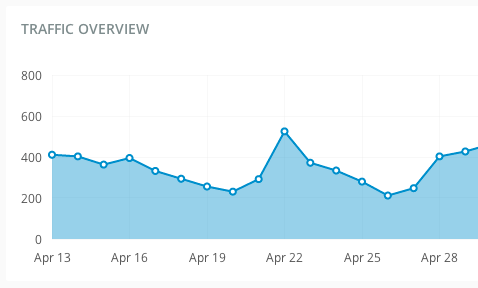 One thing to remember with this plugin is that there is no actual analytics page with charts. It's even better than that as you just add the widgets to your Oct Dashboard. Simple step but it had me puzzled for a while. Wonderful, followed the instructions and got it set up without any issues. Great plugin and easy to set up. Simple and clever implementation and use. I haven't had the chance to extend it yet. Very helpful. Easy to use. If you are crashing on error while uploading .json key try to disable adblock. Good Plugin and all the instructions are correct as of May 2016 with the new Google API console. Many thanks. If you follow the instructions just right, It Works Great! ...instructions could give better explanations to navigate google analytics settings. Instruction says: Click the Admin main menu tab at the top. Select the Property > User Management menu item. Paste the email address from the clipboard in to the field Add permissions for and make sure the permission is set to Read & Analyse. Click Add. But this not found anywhere in Google Analytics console.. Please help! So glad I finally got this working! Great work! The only "gotch-ya" was the instructions say that the "Analytics View/Profile ID number" is found in GA under "Account / Account Settings"... I got errors when using that id number so used the one found under "View / View Settings" (different ID number) and it worked perfectly... Happy days! Must have, works great. Would love to have a dashboard of Analytics automatically set up for new user accounts though. An amazing plugin. I am using this for all of my projects because of the dashboard widgets. Thanks! Excellent plugin, this is a nice compliment to the backend dashboard! Thank you for your plugin, it took me a long time before setting it up. Omg! Thanks a lot, i really use Account ID! The explanation reeeally should be improved upon. Maybe sceenshots? got it! You dont have to upload the json to your OctoberCMS. After creating a new client id in googles dev console you habe to generate a new P12 key and upload this one to your October instance. 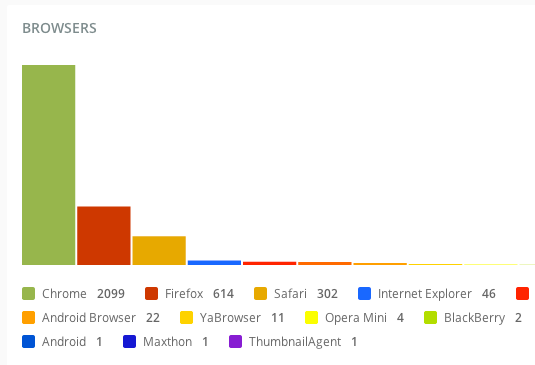 I think the plugin needs cache and cronned job, sometimes the dashboard take long time to load. Works like a charm but instructions should be more detailed. Works great, make sure you check file permissions! Log in to the Google Developers Console and select the Permissions > Service accounts section. Choose the Key type of JSON. Download the file to your computer and upload it to the October back-end settings form. Paste this number in the Analytics View/Profile ID number field in the October back-end settings form.